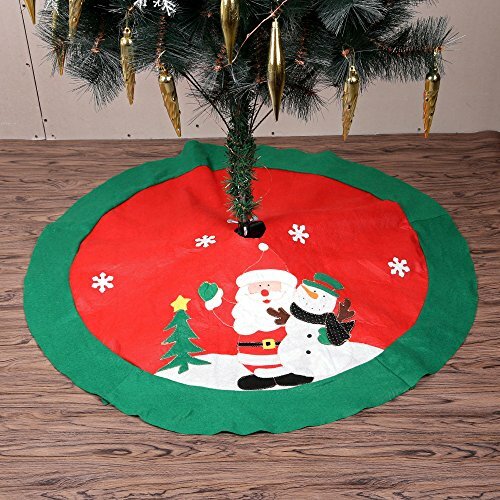 Christmas Tree Skirt Easily ties around any size Xmas tree. Use it to cover the shelf of bottom of the tree and make your tree have a good look. Tree skirt is approximately 39.5 inches in diameter. Great decoration for Christmas, adds the festive atmosphere for Christmas holidays. Tree skirt acts as a catch all for fallen pine needled and ornaments.